The Magic of Santa is presented to you by this truly wonderful looking Kris Kringle from Salt Lake City Utah. This Santa is a member of the Fraternal Order of Real Bearded Santas, and is ready to spread Christmas joy to you and yours this season. Available in Salt Lake City as well as outside the Salt Lake Valley and surrounding areas. Contact Santa today to book your date soon! Remember sitting on Santa’s lap when you were a child? 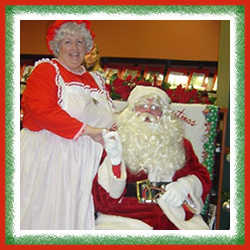 For the Santa experience that will last a lifetime have Santa and Mrs. Claus visit with your child at a Christmas party at any location. Create a special memory for your child or grandchild with a home visit from Santa Claus. 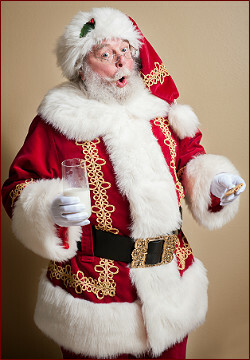 Yes you can have a real bearded Santa and Mrs Claus at your Christmas party this year. Also a limited number of sneak peaks, December 24th, (catching Santa leaving presents under the tree, eating cookies and milk) are available. All visits are custom to what you would like and will be discussed at scheduling, all the photos you want, talk to the children, see what they want for Christmas, read stories, some magic, ask Grandpa if he has been good this year and explain why he did not get the motorcycle he wanted last year. Get a photo of Grandma sitting on Santa’s knee or giving Santa A kiss. 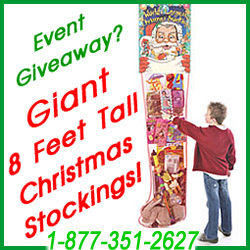 Pass out gifts if you want, total customized for each party. 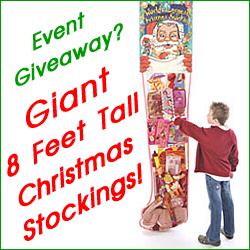 See Face Book page Santa Claus Visits for more photos. Santa and Mrs. Claus have a current background check and liability insurance. Both are members of the International Brotherhood of Real Bearded Santas (IBRBS) and members of Arizona Santas. Both have attended several professional Santa Schools where they teach you more than just how to say HO HO HO and what would you like for Christmas?